If you’re still not sure whether technology is changing the business landscape, consider this: so far this year, nine retail chains have entered bankruptcy protection, and since October 2016, nearly 100,000 retail workers have lost jobs. 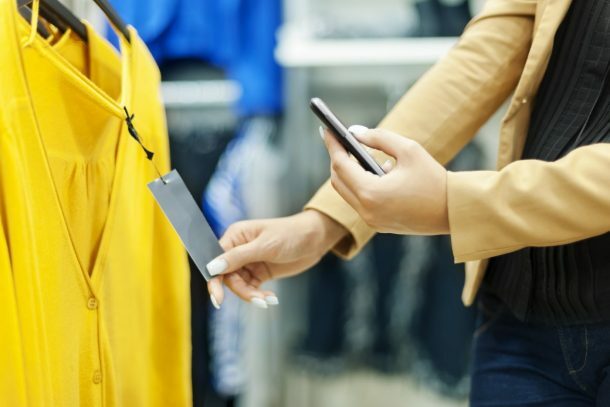 The rise and ease of e-commerce have forced many retail businesses to re-think what it means to sell products—and how their customers want to buy them. Any retailer looking to drive foot traffic to their stores needs to consider smart beacon technology. It’s one of my favorite for many reasons. For one, it captures customers when they’re in vicinity of your store—when they are most likely to make a visit. Second, it allows you to send incentives and coupons—personalized to their shopping preferences—to further entice them to walk a few steps out of the way. That personalization is what makes a great CX. Who wouldn’t pop into their favorite coffee shop when they happen to be walking by and get a free mocha coupon? While technology is impacting foot traffic to brick-and-mortar locations, it also provides a new opportunity: the chance to create smaller, more streamlined digital shopping locations that require far less storage and warehousing. New technology allows customers to shop everything from cars to couches—personally selecting colors, optional features, and sizing—all without seeing a tangible product. The option can help retailers save space—and overhead—while also increasing the “cool factor” of their brand. We all know how frustrating it is to try on items in a dressing room—only to realize we need a different size or color. New interactive dressing rooms are here to help. At Ralph Lauren, for instance, dressing rooms are equipped with smart tablets that allow users to scan their chosen products to see additional style, size, and color options, and to request an assistant to deliver those products directly to the room. The tablet even allows users to purchase the products right in the dressing room itself. While this offers improved CX—making the shopper feel like a king or queen—it also provides important data for the retailer. For instance, it allows them to see how often certain products are purchased once they are tried—and which ones are not. It also allows assistants to bring in other clothing options the customer may not have seen, potentially leading to an upsell. Don’t you hate it when you run into a store for one specific item, and you just can’t find it? Not only that, you can’t find a service agent who can help you find it? Lowe’s is already experimenting with customer service robots that can help. The “LoweBot” terminal can tell customers the exact location of any product they’re looking for, as well as other product information. Though it’s still in trial phases, it’s likely to be a very popular item for those who walk into the giant retailer wondering where the light bulbs are! The Future of Retail: Will Amazon Control Everything?